Biofem PMS is a PMS supplement formulated with botanical extracts, vitamins, minerals, amino acids, and more to provide women with nutritive support for the menstrual cycle. 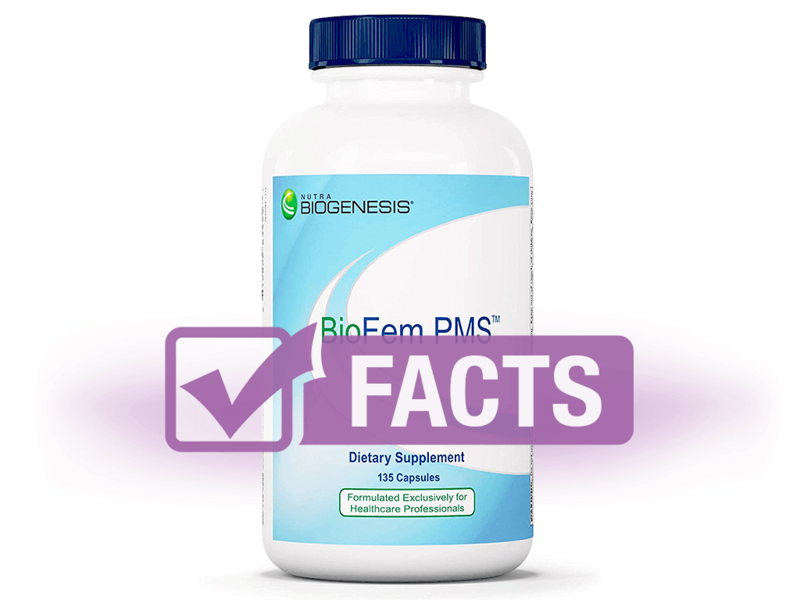 Biofem PMS contains standardized botanical extracts, vitamins, minerals, and amino acids that are designed to support healthy menstruation when taken during the luteal phase – second half – of the menstrual cycle and into the first few days of menstruation, or as prescribed by your doctor. By promoting healthy hormonal levels, PMS symptoms of mood swings, sleep problems, fatigue, breast tenderness, bloating, cramps, cravings, and more can be alleviated. 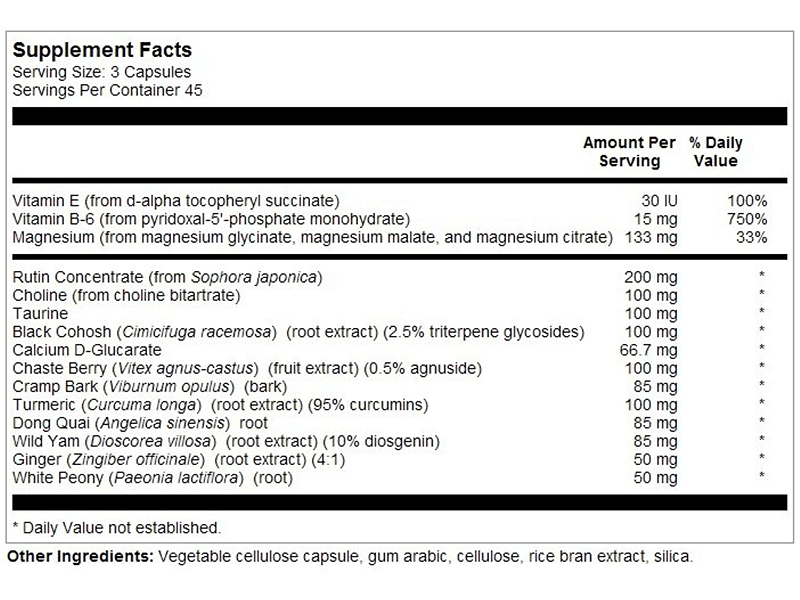 This supplement does not contain magnesium stearate or stearic acid. Consult with your healthcare provider first before taking these supplements, especially if nursing. Do not use if you are pregnant. Discontinue use if adverse reactions occur upon consumption. Do not use if safety seal is broken or missing. Keep out of reach of children. There is no mention of short- or long-term side effects on the Nutra BioGenesis website, nor is there mention of adverse reactions on Amazon due to so few reviews. However, our external research reveals that high doses of black cohosh can cause headaches, lightheadedness, uterine contractions, joint pain, slowed heart rate, lower blood pressure, and more. Black cohosh is not recommended for use more than six months at a time. Positive reviews are vague, mentioning that the product helps with PMS symptoms, but failing to mention which ones. Negative reviews are not present on Amazon, possibly due to there being only two reviews online. No further sources of reviews present on any other reputable website. Take three capsules up to three times daily starting 10 days prior to menstruation. Continue taking the supplement through the third day of menstruation or as directed by your doctor. Store in a cool, dry place with the cap secured tightly. Biofem PMS can be bought online directly from the company or through Amazon. It can also be purchased online from select retailers. Nutra BioGenesis® Biofem PMS™ is a registered trademark.